Last month, Missy Elliott was rumored to appear on season nine of The Voice. Now, its been confirmed that the rapper will appear on NBC’s hit singing competition series as a mentor to Pharrell Williams‘ team. E! 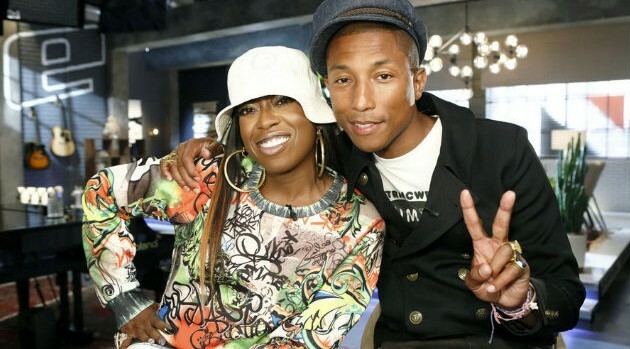 News has shared a picture of Missy and Pharrell together in rehearsals for the Battle Rounds. The show, which returns next month, is just one of the projects that the pair are working on together: Pharell is also executive producing Missy’s upcoming album, her first since 2005’s The Cookbook. Aside from Missy, viewers will also get to see Rihanna serving as key advisor. The new season of The Voice returns on September 21, at 8 p.m. ET.